Actor Nicolas Cage is known for his love of real estate. Apparently he collects houses the way other people collect baseball cards. Unfortunately, he is now losing much of it to foreclosure. In late 2009, People.com reported that he lost two of his houses in New Orleans. NOTE: I had originally posted photos of one of those Garden District homes here, but when the agent removed the listing, she asked me to take the photos down. Both homes reportedly sold at auction. 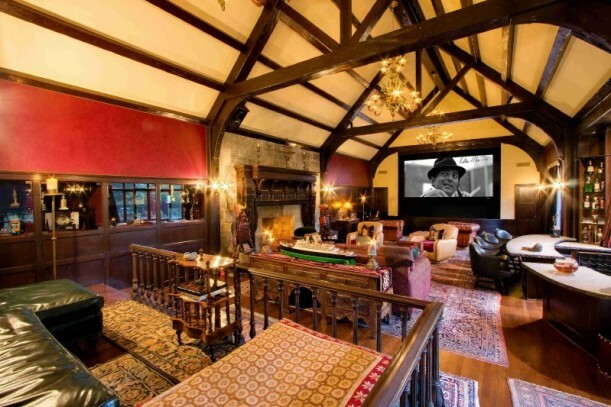 Cage also owns this Bel–Air Tudor, which used to belong to Dean Martin. It’s on the market for $35 million. He’s having a tough year. He reportedly owes $14 million to the IRS and is being sued by both an ex-girlfriend and a former business manager. Fortunately, he’s still cranking out movies and Hollywood pays pretty well. More information about his financial situation and real estate foreclosures here. 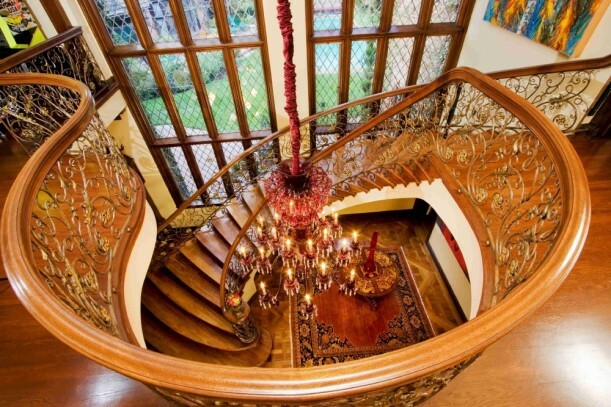 Read more about his Bel Air home and see more photos here and here. 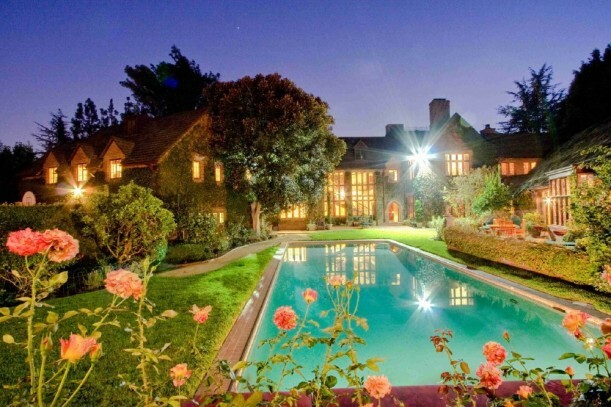 Visit my Celebrity Houses page for links to more famous pads like this one. Natalia’s last blog post..Happy Birthday Josh! FAN houses! I LOVE that stove in the second one! Wouldn’t you LOVE to be able to do this RE revamping? Trés FAB!!! I enjoy seeing all these wonderful HUGE abodes you put on here, makes me happy to think i would never wanna clean these. .. but then with all the money one certainly would have a “staff” of livin in cleaners- huh? I love the New Orleans house, except for that dining room table. Looks like a conference room. The kitchen in the RI house is nice too. Money can’t buy happiness but it can sure buy houses! I think the Rhode Island home is my favorite. They are all works of art though, how could he sell such masterpieces? It would be like selling an original Van Gogh or Rembrandt, or worse, like selling the first artwork your child ever drew for you! I guess no one should get too attached to any material thing, but it hurts my heart a little to think of buying and selling homes like that. I LOVE my home, it’s humble, but it’s HOME! I’ll take the New Orleans one! A pretty house in a neat city, perfect! I love all of these houses, they are amazing in their own ways. Who woulda thunk Nic Cage could own such stylish houses? I very much like him in Moonstruck too. I know I’ve seen him in more movies, but I can’t remember any! I guess that is a sign that Moonstruck wins! I adore the kitchen in the Gray Craig home!!! Can I just be honest and say that I liked NC in Con Air?? I am so embarrassed…. Wow he certainly does have a lot of real estate. My favorite is the New Orleans house, by far. Love it! Those are so absolutely gorgeous! My favorite Nick Cage movies are the National Treasure movies. *snicker* I can’t help it! Didn’t Ann Rice and her husband redo the NOLA house before Mr. Cage purchased it.? The RI property looks like some one made it halfway through converting it to a corporate retreat. And greenie be proud: “Valley Girl” is the classic 80’s teen movie with the best soundtrack of all them. 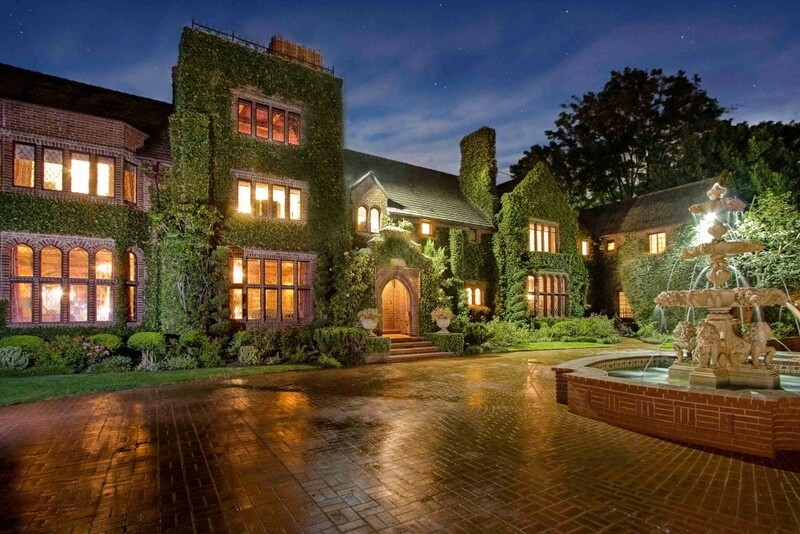 OMG I had no idea there were such stunning homes in the US! I’ve always wanted to start a blog of homes I like. Ones I see on vacation or on walks and snap pics. I love looking at cool homes. Wow! Nick has taste! Who knew? You know, what with the whole Elvis love, gold chains, greasy hair and all, I would never have suspected. I too love RA, but my favorite movie of his is probably Con Air. And I’m not embarrassed to say so. “Maybe it was Utah” – Raising Arizona. Wow, those are incredible houses! I’ll take them just as they are, furniture and all. though I love Moonstruck and Raising Arizona, I have to go with “Valley Girl” as my fave Nicholas Cage movie. Recently rewatched “Wild At Heart” and loving it even more than when I first saw it. As for his houses? Can I be a housesitter? Wasn’t Nic married to Lisa Presley for something crazy like a month or two ??? Well Nicholas, Nicholas, Nicholas….who knew? I think he has better taste than his ex-wife’s dad Elvis, that’s for sure LOL My favorite movie of his will always be Valley Girl. Have you seen it? It’s a total flashback to my teen years in California. He certainly has amazing taste in homes. Those are all uniquely stunning. kristy’s last blog post..Architectural: We have blueprints. beautiful house! fun post. thanks! hes my 3rd cousin by blood…though ive never met him i would love to. He seems like a great guy. New Orleans is the home of my heart. Love this house. Would love to have it! .-= Christi at A Southern Life´s last blog ..Southern Fall Colors =-. Gorgeous..gorgeous..gorgeous. He indeed has terrific taste. Such fun to see!! .-= Deborah Milne´s last blog ..Don’t Hate Me Because I’m Beautiful =-. Do not like him one bit in movies. I just can’t watch him. But gosh, those houses are gorgeous!!! .-= Emily@remodelingthislife´s last blog ..At The Beach For Sunrise =-. Regions Bank recently foreclosed on two upscale New Orleans homes owned by Academy Award-winning actor Nicolas Cage, according to new reports. Last week, the Birmingham-based bank purchased the upscale homes located in the famous French Quarter and Garden District. The company, which provided a loan for the properties, bought the foreclosed homes for $4.5 billion, according to New Orleans newspaper The Times Picayune. Regions Bank spokesman Tim Deighton confirmed that the bank foreclosed on two properties in the area that were owned by Hancock Park Real Estate Co. but “we do not discuss customer relationships or real estate transactions,” he said in a written statement. Recently, Cage’s troubled financial situation has been aired publicly after news organizations reported that the actor owed more than $6 million in back taxes to the Internal Revenue Service. Nicholas Cage sure does have fine appreciation for fine homes, but I’m most curious about the info, referred to above, of his New Orleans property (properties?) being subject to foreclosure. More info, please! Looking at the photos of his houses in New Orleans, Rhode Island and Bel-Air — all wonderful, in my opinion, in a real old-school, high-quality way — I have to wonder why he would want so many large, lavish houses, with all the upkeep and taxes involved. You can only be in one place at one time. I just came to check this out having read your Cage/foreclosure posting. I thought the New Orleans house was absolutely beautiful, but the attraction paled a bit when I read how many square feet it is. That’s a lot of vacuuming! .-= Struggler´s last blog ..Surprisingly tempting party dresses =-. The entry and living room of the Garden District home leave me unable to shake off the impression of a retirement home environment….an old one. The swimmingpool area is gorgeous!!! 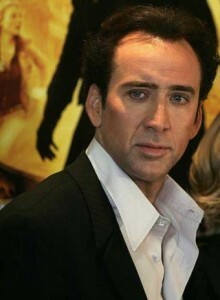 Feel a little sad for Nicolas Cage, though… Hope everything works out for him! Happy Saturday! .-= Kristin´s last blog ..Before and after – Candice Olson =-. That makes me sad…his bad taste in decor and his poor financial decisions! The pool is nice though. .-= Tracey´s last blog ..Clip It, Clip It Good =-. .-= mishelle´s last blog ..A few of my favorite things! =-. wow his house is unique and ancient looking. who would have guessed his ceilings would be so artistic. I see some replicas of some places in Nicolas Cage’s movies. I guess that’s where he got some of the house’s interior idea. He’s got nice taste, though, never thought he’d pull something like this.